The Rail Delivery Group (RDG), which represents train operating companies (TOC) and Network Rail, said that ‘thousands more’ train passengers will be able to ‘wave goodbye to their orange tickets this month. Following recent upgrades and after the further installation of readers at stations around the country and software updates due at the end of this month, ‘we expect nine in 10 tickets to be available for sale to customers as smart tickets’ RDG said. However, a spokesperson confirmed that it counts barcode tickets as ‘smart tickets’. 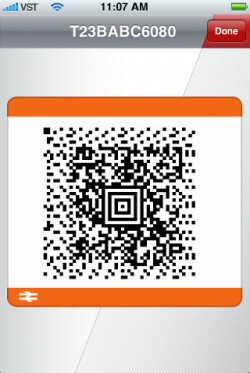 These do little more than provide a visual representation of a paper ticket without giving passengers smart ticketing benefits of the type offered by London’s Oyster system. As Transport Network has reported, the Department for Transport’s (DfT) November 2017 Strategic Vision for Rail set a target for the end of 2018 that ‘both ITSO [smart card] and barcode tickets will be accepted for travel on almost all of the network’. In October 2017, the DfT said that £80m of public money would ‘ensure every passenger will have the choice of travelling without a paper ticket by the end of 2018’. The announcement from the RDG confirms that both targets have still not been reached. Robert Nisbet, regional director at the Rail Delivery Group, said: ‘Together, rail companies are going full steam ahead with smart ticketing, with passengers increasingly able to use their phones or smartcards thanks to station upgrades across the network. Transport Network asked the DfT for an update on this target – and for comment on its failure to meet other smart ticketing targets – but it appears that progress on mobile phone smart cards has been minimal from TOCs. A DfT spokesperson said: 'We set a goal of securing smart ticketing across almost all of our rail network by 2018. Ninety per cent of the 1.7 billion rail journeys made every year are now possible with smart ticketing, with every operator helping to fulfil that commitment. The RDG said that increased availability of ‘smart tickets’ is already benefiting passengers by allowing passengers to avoid ticket machines, as well as going paperless, which is ‘forest friendly’. 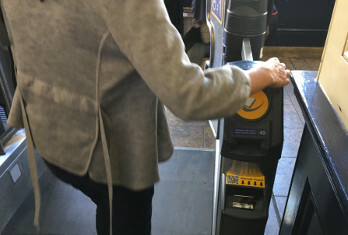 It said that another benefit for passengers of ‘smart ticketing’ is ‘connecting information about their journey to a personal account, enabling one click compensation as already available on some operators’. However, the RDG confirmed that ‘one click compensation’ depends on a journey being linked to a customer account through online or smart card purchases and does not therefore depend on paperless ticketing.